The Mono Pumps Sun-Ray SRX solar pump has been designed to transfer surface water with the same efficiency and reliability as other Mono solar pumps. Available, with either a stationary or GPS Tracking array, ranging from 175 Watts to 1400 Watts, the Sun-Ray can deliver very high daily flows with discharge pressures of 120m. The highly efficient, helical rotor pump is inherently self-priming, so the pump can be positioned up to 6m above the water source, allowing the pump to be installed on the top of dam walls or on river-banks above the high water mark. 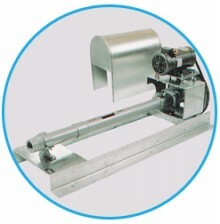 The Sun-Ray is suitable to pump water from springs, rivers, tanks and dams. It is available with a floating pontoon that has been designed to safely enable the pump to float on a dam or other water source. The PC (Progressive Cavity) helical rotor pump element used in the Sun-Ray pump is proven to provide maximum water output even in water containing silt or iron oxide, and low pump speed means extended rotor and stator life in abrasive bores. The PC pump will deliver water with every rotation regardless of speed, on solar, when pump speed will vary with the amount of sun it is important to get water with every turn of the pump. All Sun-Ray systems are supplied complete with pre-wired solar modules, array frames, pump element, submersible motor and solar motor controller. The entire package is easy to assemble and all electrical connections are fitted with plugs & sockets, so electrical connections do not require an electrician. 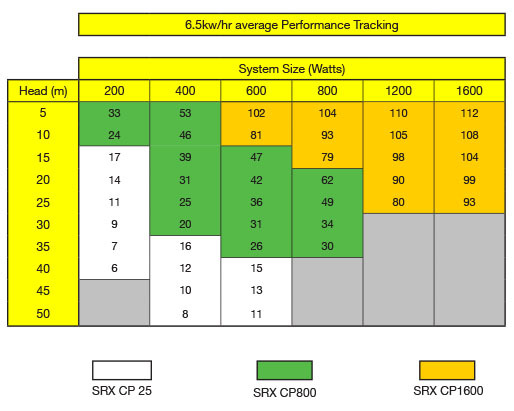 Accurately select the best system to meet your requirements using CASS (Computer Aided Solar Selection) software. Float and/or pressure switch input enables complete system automation. The Sun-Ray will only pump as long as water is needed and will stop once tanks and troughs are full. Mono Pump’s CASS program offers you the right solution for each individual application. It is vital that the right solar pumping system is installed to fit your specific requirements. By using our CASS program you will always have the right Mono Solar pump to suit your individual needs. The CASS program uses historical meteorological data and the results of extensive system testing to predict the daily average flow for each month of the year based on your site conditions. To ensure you get the right system for your specific application download CASS here.